What We’ve Got So Far: Though there aren’t any clear options in the first six months, there are a handful of ladies who have turned in buzz-worthy performances. But how likely is it any of them can last through to February? For starters, we have some Academy favorites – Michelle Williams has a decent shot for Take This Waltz. Though the long-delayed film seems to have arrived with a soft response, the reviews were positive, and Michelle is on a hot streak. Plus damaged relationships propelled her to a nod for Blue Valentine. Speaking of Academy populars, Judi Dench should never be counted out, and the sleeper hit status of The Best Exotic Marigold Hotel could get her some traction, particularly with a well-timed DVD release. It was virtually invisible upon release, but The Deep Blue Sea could very well get Rachel Weisz on some shortlists. It’s certainly a long shot, but she’s one of the handful of moderate contenders from early releases. A much more hot-button choice would be Jennifer Lawrence, whose adept turn in the popular The Hunger Games is certainly not Oscar’s typical cup of tea, but the web is feeling pretty insistent about this one. Don’t count her out just yet. Resting in the long-gestating camp, Rachael Harris won raves last year for quirky drama Natural Selection, but her lack of celebrite in an increasingly competitive indie sect could dash her chances. Finally, the clearest contender from those films released thus far has to be pint-sized powerhouse Quvenzhane Wallis, whose star turn in Beasts of the Southern Wild should have no trouble finding its way onto year-end “Best of” lists. But will she be wrongfully thrust into supporting due to her age? Will Lighter, Popcorn Fare Play a Role? 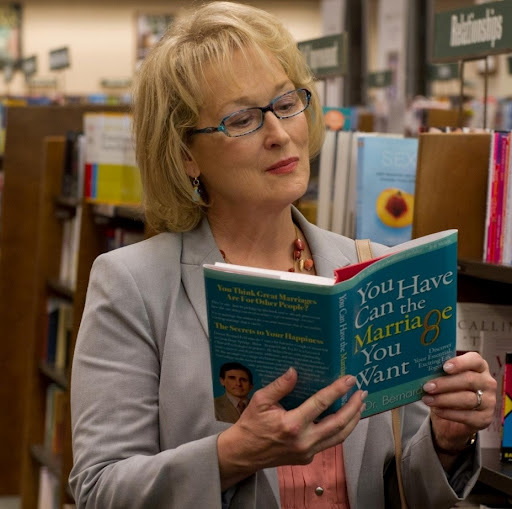 : Sure, Meryl Streep has made her way onto the list with comedies before. I mean, Devil Wears Prada was very nearly a win for the actress. But will Hope Springs connect in the same way? It has the elements of a potential Streep nomination, but methinks this will go by way of It’s Complicated and suffer a near-miss. And though “light” may not be the right attribution, Won’t Back Down‘s Viola Davis and Maggie Gyllenhaal may have to ascend the hurdle of “feel-good” for their teacher drama. The trailer doesn’t look very Oscary, but who knows what could happen with Davis’s recent hot streak? And then there’s Cameron Diaz, who is seemingly out to prove why she’s a movie star by teaming up with Colin Firth and the Coen brothers for Gambit. But will an action comedy ever have decent traction in a category populated by tragic PYTs? If the reviews are right, it’s definitely possible. But what of the indie comedies? It can be a tough sell, but with proper studio push, anything’s possible. 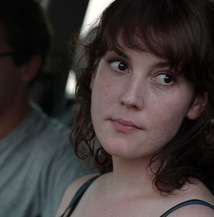 First off is Melanie Lynskey, who has been quietly assembling a long filmography on the sidelines and finally has a leading role in Hello I Must Be Going. The film has some detractors, but she likely has a lot of friends in the industry. (Let me also take this opportunity to say that Emayatzy Corinealdi could find a place in the conversation for Middle of Nowhere.) Then there’s Helen Hunt, who hasn’t been in the conversation at all since her ’97 win in this category. Has her ill will post-Oscar ruined her shot at being nominated for The Sessions, or will John Hawkes’s recent cred push her through? Rounding out the comedic ladies, Barbra Streisand is making another return to the big screen in The Guilt Trip opposite Seth Rogen. A mother-son road trip is a bit untested, save for Transamerica I suppose, but Dan Fogelman has done some great things with Crazy Stupid Love and Tangled, so who knows? Prestige Gals – Where the Contenders Are: Now to the serious options. The biggies and the obvious predictable choices. Not that they’re bad, necessarily, just that they’re clearly the odds-on favorites. Academy favorite Amy Adams could have a fourth nomination on her hands for father-daughter sports flick Trouble with the Curve, but voters have been hot and cold with Eastwood lately. Keira Knightley isn’t everyone’s favorite in critics’ circles, but her muse status under Joe Wright has yielded some cache. Will Anna Karenina pull off a hit, though? Laura Linney has shamefully never won, but Hyde Park on Hudson is looking mighty probably for another shot at the gold. Will she command enough presence when sharing the screen with Bill Murray though? 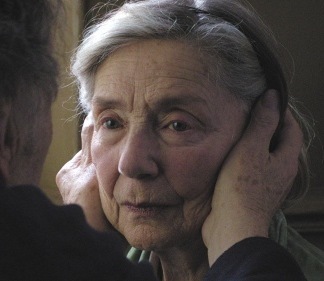 With Cannes backing and Haneke’s stamp, Emmanuelle Riva could be a viable option for Amour. 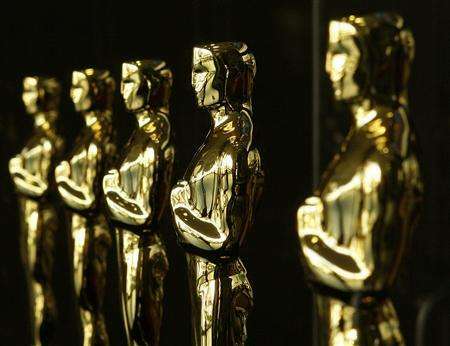 But will the Academy do what they do with many European auteurs and recognize direction and writing above acting? No one seems to have the respected actor/beautiful movie star combination on point these days like Marion Cotillard, whose Rust and Bone performance is a definite shot at her first leading nomination since her win in ’07. And will Carey Mulligan ever find herself in the nomination pool again? She’s landed several plum roles since An Education, and what better return route than to star in The Great Gatsby? Sure, Halle Berry hasn’t connected much since Monster’s Ball, but with the insane buzz around Cloud Atlas, perhaps she can finally return to the fold of the few and the proud. Maggie Smith has stayed relevant through the years, but Oscar has eluded her since 2001. Perhaps a seemingly lead role in the opera singer drama Quartet will appeal to voters. I mean, have you seen the trailer? It’s pretty clear we’ll be hearing its name at least once come nomination morning. That’s All Well and Good, But Will it Even Release? : In every year there are the crop of serious candidates that have a giant question mark over their heads until the bitter end (See: Glenn Close in Albert Nobbs), but some of these are bound to be released in time. Kristen Wiig is fresh off of Bridesmaids heat, and the Oscars may see a chance to honor her for acting in Imogene. And if it sees the light of 2012 day, Dakota Fanning could have her coming-of-age coming out party in costume drama Effie, though a ’13 release seems more and more likely. Nicole Kidman will surely be a contender for biopic My Wild Life whenever it happens to be released, but the animal conservationist drama is taking its sweet time to finish up. Helen Mirren is always a strong possibility, and The Door could hit if it finds a distributor in time, and Rachel McAdams could perhaps break her rom-com mold thanks to fave director Terrence Malick’s tutelage in To the Wonder – and that festival scheduling makes a late-2012 release all the more likely. But what do you think, eh?